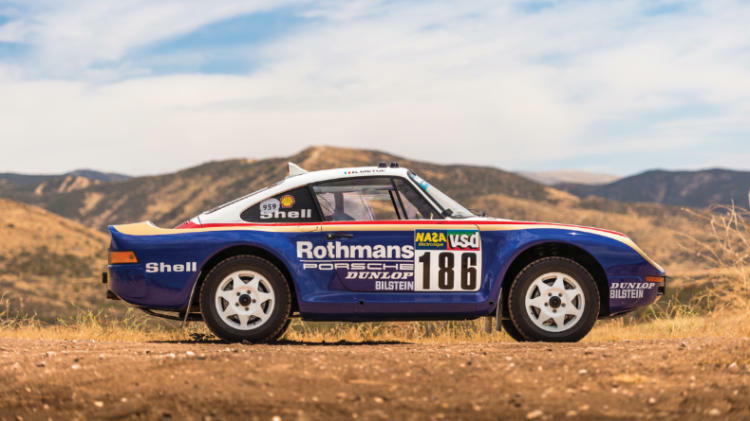 A Porsche 956 Group C and a 959 Paris-Dakar car are among the highlights of the RM Sotheby’s Porsche Atlanta 2018 sale. RM Sotheby’s Porsche Atlanta 2018 sale is a special Porsche-only sale to mark the 70th anniversary of the foundation of Germany’s leading sports car brand. 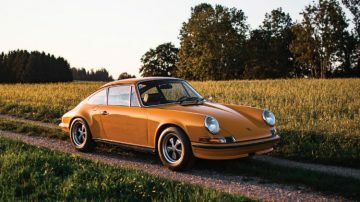 An air-cooled 2018 Porsche 911 Turbo Classic Series “Project Gold” will be offered at the sale as a unique tribute to the final air-cooled 911 produced two decades ago. The top results at the Atlanta auction are likely to come from racing cars including the only Porsche 956 Group C car to have raced (and win) in America and a 1985 Porsche 959 Paris-Dakar rally car. RM Sotheby’s is arranging a Porsche single-marque sale at the Porsche Experience Center Atlanta, USA, on 27 October 2018. The sale features around 70 Porsche cars and a selection of Porsche-related memorabilia, spare engines and (rich) children’s cars to celebrate the 70th anniversary of the German sports car brand. The air-cooled 2018 Porsche 911 Turbo Classic Series “Project Gold”, estimate “Upon Request”, No Reserve, is not only a unique vehicle, it was built with the specific intention of being unique and carries the series number 001/001. This very special Porsche was built by Porsche Classic as a tribute to the last air-cooled turbo 911 produced two decades ago. The car used a new-old-stock body and an engine built completely from new genuine parts. The engine was built to the factory Werksleistungssteigerung II and like the 345 Porsche 911 Turbo S cars produced in period is good for 450 HP. The gearbox is similarly built from new Porsche Classic parts. The Golden Yellow Metallic benefits from two decades of paint application development and is arguably better than the original. The hand-made interior was inspired by the 993 Turbo interior but also used modern detailing from current cars. The 2018 Porsche 911 Turbo Classic Series “Project Gold” is sold on a Bill of Sale and unfortunately is unlikely to ever be registered for use on public roads. Proceeds of the sale will benefit the Ferry Porsche Foundation. 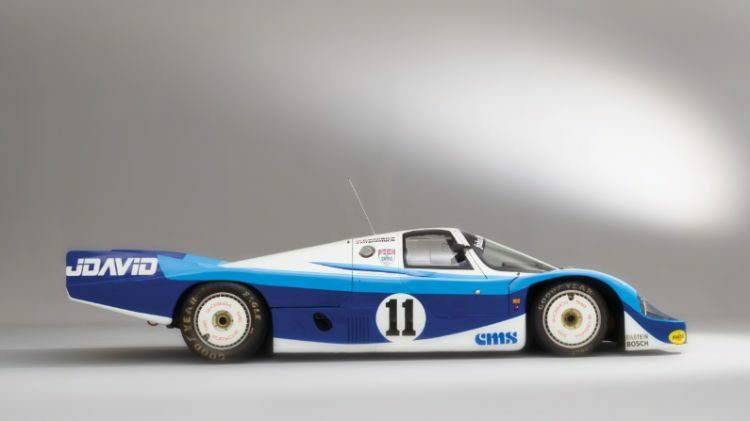 The highest result at the RM Sotheby’s Porsche Atlanta 2018 sale is likely to come from the 1983 Porsche 956 Group C, chassis 956-110, estimate $5,250,000 – $6,750,000. This car is one of only nine WEC privateer 956s produced and has the distinction of being the only 956 to have competed (and win) in America. Chassis 956-110 originally belonged to John Fitzpatrick Racing (JFR). The 956 was extensively and often successful raced in 1983 although it retired from its first race, Le Mans, with fuel pump failure while running third after ten hours. Banned by IMSA, it raced in the SCCA’s Canadian-America Challenge and won the Road America race. However, chassis 956-110’s most memorable result was victory at Brand Hatch in 1983 – it finished the race a lap ahead of the works 956 in only the second time a customer 956 have beaten the works racers in a straight fight. 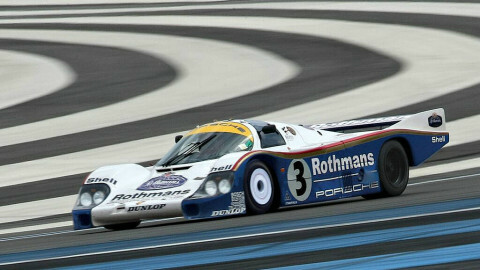 The final race of 956-110 was Le Mans in 1984 after the car was purchased by Lord Vestey. It retired after running as high as 11th. 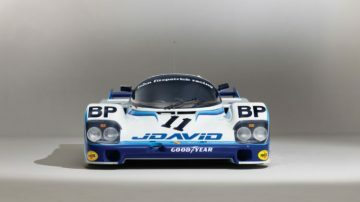 The 1983 Porsche 956 Group C, chassis 956-110, is sold in the 1983 Le Mans JDavid Livery but retained the long-tail body used in the 1984 Le Mans race. 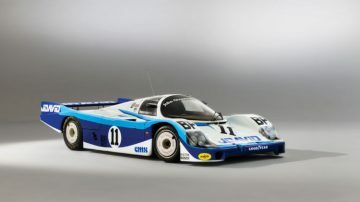 See 1983 Porsche 956 Group C for more on this car. 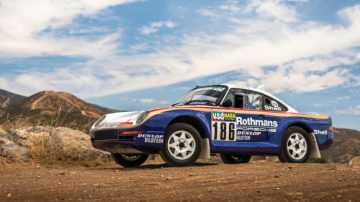 The 1985 Porsche 959 Paris-Dakar, estimate $3,000,000 – $3,400,000, is a similarly special racing car. It is one of three works-supported entries in the 1985 Paris-Dakar Rally and one of seven developmental examples built. All three 959 cars retired during the 1985 Paris-Dakar race including the example on offer that was driven by three-time winner René Metge. (A year later, Porsche 959s would finish first and second.) The car is offered in its original 1985 Paris-Dakar Rothmans livery. 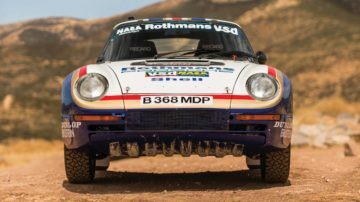 See 1985 Porsche 959 Paris-Dakar for more on this car that is likely to set a new 959 auction record – currently $2,093,280 paid for a 1988 Porsche 959 Sport. 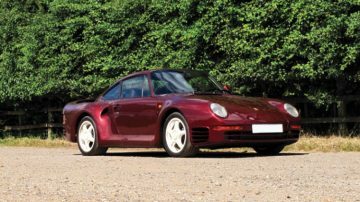 The 1985 Porsche 959 Prototype is another early 959 on offer at the RM Sotheby’s Porsche Atlanta sale. It was the seventh of twelve prototypes built and believed to be one of only three or four survivors. Prototype no. F7 of 12 ‘F’ series prototypes was finished in Ruby Red with ‘Triple Silver’ interior and trimmed to Komfort specification but without the adjustable ride height and power steering featured in the later cars. The 1973 Porsche 911 Carrera RSR 2.8 is one of 44 built for the 1973 season. It finished 4th overall at the 12 Hours of Sebring and 3rd in class (11th overall) at Watkins Glen Six Hours. The 1975 Porsche 911 Carrera RSR 3.0 is on one of 52 built and one of ten built in 1975. It was extensively raced in Europe by Tebernum Racing and winner of the 1975 European GT Championship. It belonged to Paul Newman from 1977 to 1982. 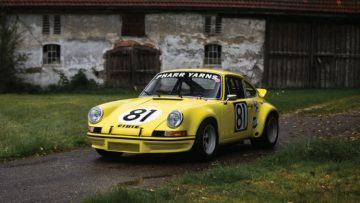 The 1973 Porsche 911 Carrera RS 2.7 Prototype was only the second Carrera RS built. The 1973 Porsche 911 Carrera RS 2.7 Lightweight is one of 200 lightweight sport versions built. It was raced extensively in period by Swiss racing driver and owner Eugen Strähl. It is in an exceptionally authentic restored condition. The 1980 Porsche 935 K4 was the second of two K4s built by the Kremer Brothers. The 1996 Porsche 911 GT2 is one of only 79 factory-built racing versions. It participated in qualifying for the 1996 Daytona 24 Hours but was not raced. The 2011 Porsche 911 GT3 RS 4.0 was built by Porsche Exclusive for Jerry Seinfeld. It was the final and probably most-expensive GT3 RS 4.0 produced. The 2015 Porsche 918 Spyder is a very high specification car and was probably the most-expensive non-Weissach optioned car produced. It has covered only 225 miles since new. Model records are likely at the RM Sotheby’s Porsche Atlanta sale but the marque record remains safe. The 1983-Le Mans winner – a 1982 Porsche 956 in Rothmans livery – sold for a then marque record $10,120,000 at the Gooding Pebble Beach 2015 sale. This works team car was the first Porsche to have achieved over $10 million at auction and held the marque record until the 1970 Porsche 917 with no race record but a Steve McQueen connection increased the record to $14,080,000 at Gooding Pebble Beach 2017. 1983 Porsche 956-110 – the only 956 to have won on American soil.